Do You Need To Repair Or Replace Your CT Windows? Taking the opportunity to replace or repair your old, broken, rotten or dysfunctional windows is a great way to make your home more safe and comfortable. Futhermore, you will be able to reduce your monthly energy bills. This article discusses diferent types of issues that may occur which lead to a homeowner needing to either repair or replace their windows. Windows can rot over time due to weather damages, especially in Connecticut's temperamental rain and snow storms that occur around this time of year. Wooden windows start to rot from water and humidity which leads to high energy bills and water damages to the interior of your home. As the wood starts to deteriorate, the paint cracks and chips so your windows not only look unattractive but also end up costing you more in the long run if you do not repair or replace the problem. 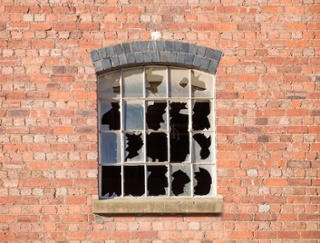 Your windows may just need repairs if there are only a few spots that show signs of rotting. You can patch or seal these spots up without having to pay for replacement windows. However, make sure to look because the damage can be worse than what you see. If you notice your windows have several rotting issues, they should be immediately replaced. CT replacement windows can save you money on energy bills that build up over time and damages that can occur if your windows are not functioning properly. If your windows don't work like they used to and often get jammed or have issues functioning, you may need repairs or replacement. Problems closing your windows let the outside air in even when it's raining and snowing, which can lead to interior damages. Problems opening the window make the homeowner lose the appeal of letting fresh air in when wanted. The operation can become dysfunctional from dirt and debris clogging the track, broken pieces or if it were painted over any operational components. This can be an easierproblem that is better suited for repairs to save money. However, if the window is too old, replacement may be your only choice because more issues will more than likely occur as well as parts may not be available any more. Talk with an insurance restoration contractor to help finance for storm damage repairs that are needed for repairing or replacing your windows. Your windows may be tough but a strong enough storm can break important elements that destroy the integrity and strength. Some cracks and scratches can easily be repaired but once an element is broken replacement will probably be your best option. Damages such as broken seals and panes are ones that will typically need to be replaced. Vinyl windows are usually the strongest and cheapest option because theyare easily replaced and typically cost less to repair. Old and worn out windows can lead to any of the issues that were explained above. The biggest problem with old windows is that they are no longer energy effecient and you end up spending a furtune on your energy bills. The biggest issue is that sometimes it's difficult to catch that your windows are the problem because from what you can see there are no damages. However, over time your windows become drafty. You can seal the areas where the air is leaking and save money on replacement. However, the windows are already old and are not getting any younger, so the issues can reoccur or arise in different spots. Instead of constantly needing to repair these issues and finding out there is a problem after you get your energy bill, try vinyl window replacement instead.